Can you get a mortgage of six times your annual income? A new mortgage allows homebuyers to borrow up to six times their annual income, but is it the right deal for first-time buyers? Darlington Building Society has caused a stir by announcing a new ‘professionals mortgage’ that offers loans at higher income multiples than any other product on the market. For cash-strapped first-time buyers contending with high house prices, this might seem like a godsend – but there has been criticism that lending at such a high level is risky. Here, we reveal the other banks willing to approve loans at more than four-and-a-half times your annual salary, and offer advice on whether you should apply for such a big mortgage. If you’re buying your first home and need advice on getting a mortgage, call Which? Mortgage Advisers on 0800 197 8461 or fill in the form at the bottom of the article for a free call back. Darlington’s deal might be one of a kind, but it’s only available if you work in certain professions. To qualify, you’ll need to be an accountant, actuary, barrister, dentist, engineer, medical doctor, optometrist, pharmacist, solicitor or vet. This new product has received a great deal of attention in the industry, as most lenders generally limit home loans to four-and-a-half times annual income. Responding to suggestions that it’s encouraging risky lending, Darlington Building Society said it will be ‘individually underwriting every case’ to ensure loans are granted responsibly. The deal is available at up to 90% loan-to-value (LTV), and offers a fixed interest rate of 3.69% for five years. How much you earn plays a key role in the amount that lenders will be willing to loan you when you buy a house. As a rule of thumb, banks will usually allow you to borrow around four or four-and-a-half times your annual income. That means that if you earn £30,000 a year, you could theoretically get a loan of £135,000 – or £270,000 if you’re buying with a partner who earns the same as you. It’s important to be aware, however, that banks adopt a holistic approach to affordability testing, so you’ll need to meet their other criteria, too. The chart below shows the average income multiple at which mortgages have been granted in the past year. In September this year, first-time buyers were granted mortgages at an average of 3.68 times their annual incomes. The new mortgage from Darlington is significant due to regulations brought in by the Bank of England in 2014 as part of its attempts to end risky lending. These rules mean that banks can only offer up to 15% of their mortgages at income multiples of four-and-a-half times or more. Not everyone agreed with these changes, though, with some claiming that borrowers need extra help due to rising house prices. The chart below shows how the percentage of mortgages granted at more than four and four-and-a-half times income has increased significantly in the last decade. Should you take out a mortgage at six times your income? If you’re able to borrow at a high income multiple, that doesn’t necessarily mean it’s the right thing to do. Borrowing the absolute maximum you’re able to can put a strain on your finances, so consider the following before rushing in. The interest rate and size of repayments: as we’ll explain later, borrowing at a higher income multiple significantly cuts the number of mortgages you can choose from, so you might not be able to get the best interest rate. This means you might have to make a high repayment each month, so consider whether you might be better off saving a bigger deposit or waiting until your earnings are higher before applying for a mortgage. Your career plans: before taking out a mortgage, you should always think about how your finances are likely to change in the long run. For example, are you expecting a promotion that might enable you to make overpayments (if allowed by your mortgage provider)? How long you plan to live in the property: the Darlington deal is fixed for five years, and if you decide to pay off your balance before then you’ll need to pay an early repayment charge of 3%. While you can port the product if you choose to move home, it might not be the best mortgage for that property – so think hard before tying yourself in to a long-term fixed-rate deal. Other bills: buying a home isn’t just about the upfront costs. You’ll also need to budget for utility bills, council tax and, if applicable, service charges or ground rent. 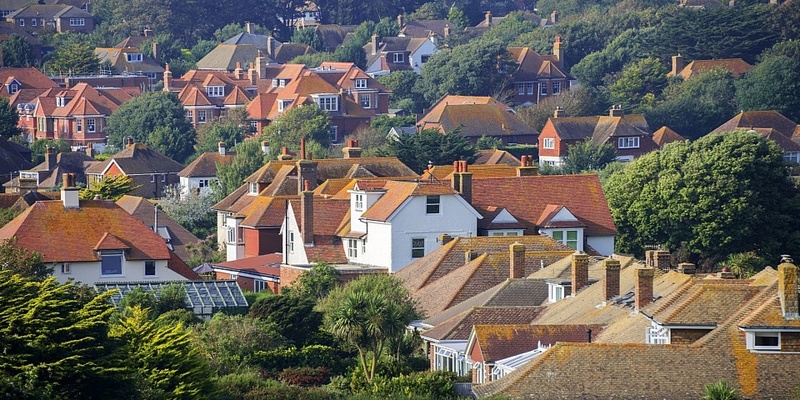 Which lenders offer mortgages at high income multiples? Darlington’s deal is the only mortgage currently available at six times a homebuyer’s annual income, but some other lenders also offer deals at high income multiples. Generally speaking, these are only available to buyers with large deposits – another factor that makes Darlington’s 90% offer stand out. The table below shows the maximum income multiples at which lenders offer mortgages, but it should only be used as a guide, as some banks say they make decisions based on the borrower’s ‘ability to pay’, rather than using set multiples. Below, we’ve explained which deals are currently available for first-time buyers looking to get a loan at more than four-and-a-half times their annual income. We’ve only included mortgages that are available now and specify their maximum income multiple, so you may be able to find other products by approaching lenders who offer loans based purely on ‘ability to pay’. The links below take you to the relevant deal pages on Which? Money Compare. Newcastle Building Society is the only lender to formally offer mortgages at 5.75 times income; two and five-year fixed-rate deals are available at up to 80% LTV. Barclays offers three and 10-year fixed-rate mortgages at five-and-a-half times income, but only at up to 60% LTV. Five lenders – Barclays, Virgin Money, Cambridge Building Society, Ipswich Building Society and Teachers Building Society – grant mortgages at five times annual income. Most of these deals are only available if you have a deposit of at least 20%, but Barclays offers 90% and 95% LTV mortgages at five times income as long as each applicant earns at least £50,000 a year. One other provider, Ipswich Building Society, offers home loans at 90% and 95% LTV without minimum earning criteria. HSBC, Leeds Building Society, Nationwide and Skipton Building Society all offer deals at 4.75 times annual income. The tables below show the cheapest available products at 90% and 95% LTV, based on their initial rate. Note: All mortgage deals data sourced from Moneyfacts on 26 November 2018. If you’re considering buying your first home and need help finding the right mortgage, it can be useful to get advice from a whole-of-market mortgage broker. For a free chat with a friendly adviser, call Which? Mortgage Advisers on 0800 197 8461 or fill in the form below for a free call back. * This article was updated on November 30 2018 to reflect that Newcastle Building Society only grants loans at 5.75 times salary on its ‘large loan’ proposition.